CREW - Colchester Ridge Estate Winery 2016 Meritage with Slow Cooked Lamb Shanks in Red Wine Sauce. 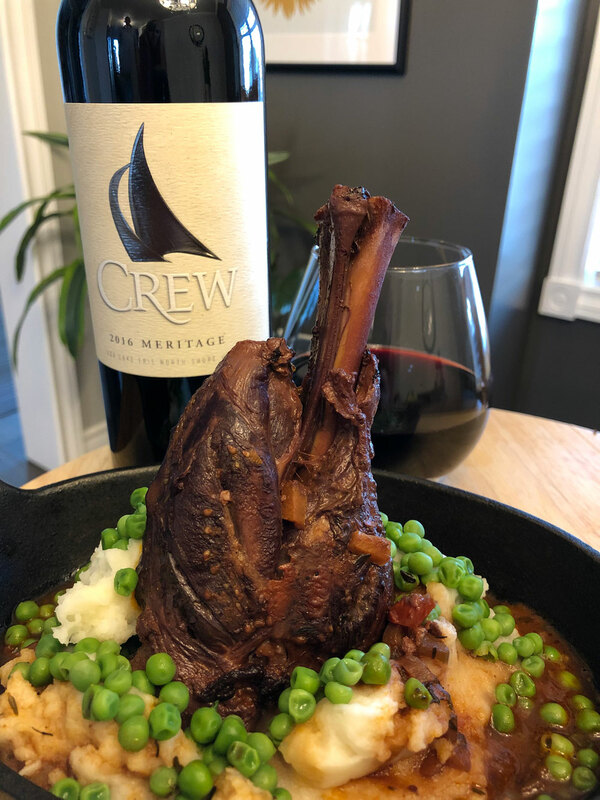 CREW – Colchester Ridge Estate Winery 2016 Meritage with Slow Cooked Lamb Shanks in Red Wine Sauce. Wining for lamb with CREW Meritage! Out traditional red blend offers a wonderful complexity of berry compote and spice with vanilla notes and a lingering, contemplative finish. Pair with wild game dishes, grilled lamb. and deep conversations. Cheers!